Superior Termite and Pest Control, Inc.
Nukem Pest Management Services Corp. Comment: We would like our back, front and side yard/bushes etc sprayed to avoid seasonal mosquitoes, and possibly ticks. Comment: I noticed wood deterioration on the East side of my home where some siding has fallen off. I want to see if there is current infestation and if so, get rid of it. Toms River Pest Control Services are rated 4.76 out of 5 based on 2,128 reviews of 25 pros. 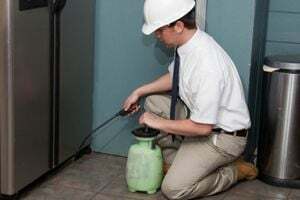 Not Looking for Pest Control Contractors in Toms River, NJ?